With a smart use of the current trending ‘starter pack’ idea, the video explores the typical look and behavior of college students with a good dosage of humor. 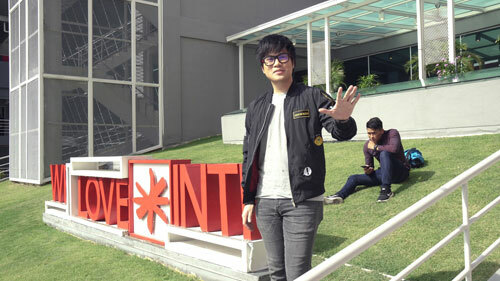 That was the basic premise of INTI International University & Colleges’ latest video collaboration with the YouTube sensation duo, Jin Lim and Reuben Kang. “There’s quite nothing like the experience of a college freshman. For most of us, it means independence and the ability to make your own decisions. But for some, it can get quite stressful,” said Jin & Reuben.Many of us are told to have a prefixed idea of what we want to become before entering college and it can put a lot of stress on us. The truth is college is where we usually will understand what we are and what do we want to become. With a smart use of the current trending ‘starter pack’ idea, the video explores the typical look and behavior of college students with a good dosage of humor by portraying the popular types of college students – such as The Slacker, The “Mui Mui Zai”, The Break Free Girl and The “F” Boy. It eventually reveals a sweet surprise at the end by showcasing how they have gone to having great careers after pursuing a programme in their area of interest from Southern New Hampshire University and IBM Innovation Centre for Education at INTI. ? 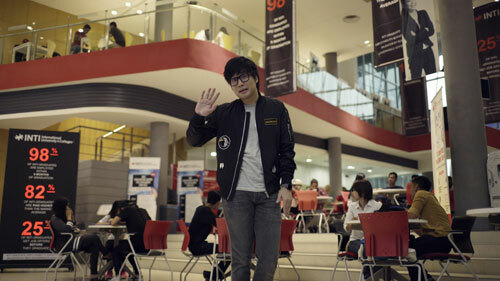 Jin Lim’s humorous narration added the fun element to the video. “At INTI, we always believe in allowing students the space to understand their true capabilities and helping them to become the best they can be. Gone are the days where students are expected to come in with a ready-made career goal when they enroll in college,” said Timothy Johnson, Senior Vice President of Marketing, Products & Partnerships at INTI International University & Colleges. “As much as we take pride in producing world class engineers and Traditional Chinese Medicine practitioners, we are also equally proud that our students are succeeding in careers which did not even exist 10 years ago, such as being successful on YouTube,” he added. The video, shot mainly in INTI International College Subang’s newly launched South Block was published on Jinnyboy’s very own YouTube channel (JinnyboyTV) and the content of the video is being highly appreciated by SPM leavers and college students. The video can be viewed here.